The Traffic Logix SafePace® Evolution 15FM variable message sign is a versatile display sign that allows you to customize messaging to each driver’s behavior. The versatile Evolution 15FM variable messaging sign offers the ability to display custom text, graphics, or speed display all on the compact, lightweight sign face. 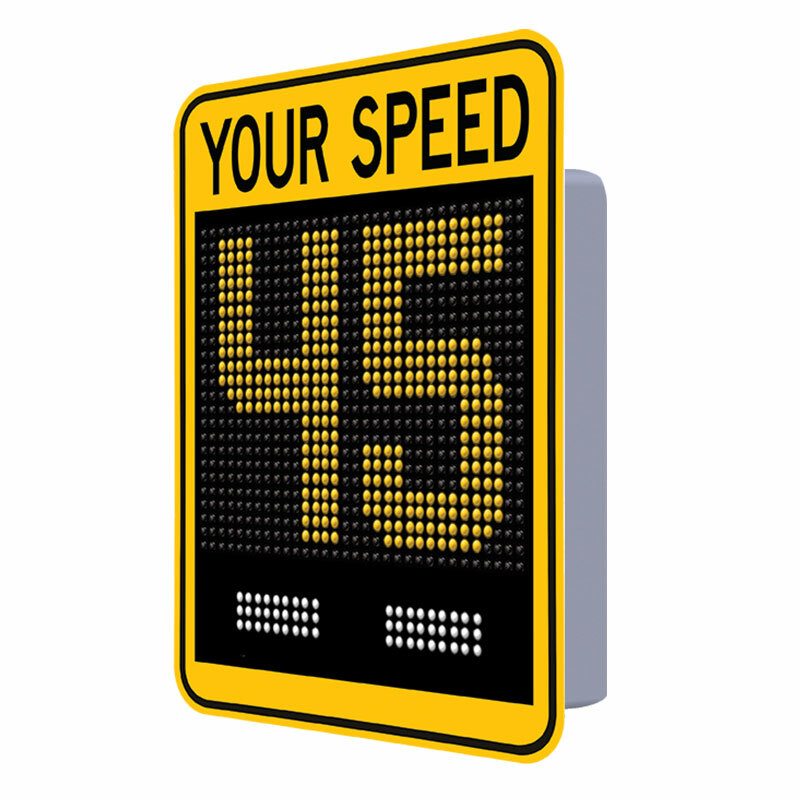 The flexible sign offers the ability to to display either driver speed in full 15” digits with speed activated digit color changes or your choice of driver responsive text or graphics on the full matrix speed display sign.